What are xerographica plants? Xerographica plants are epiphytes that live not on the ground, but on limbs, branches and rocks. Unlike parasitic plants that depend on the host for life, epiphytes use the host merely for support as they reach towards the sunlight. They are sustained by rainfall, moisture in the air and decaying plant matter. 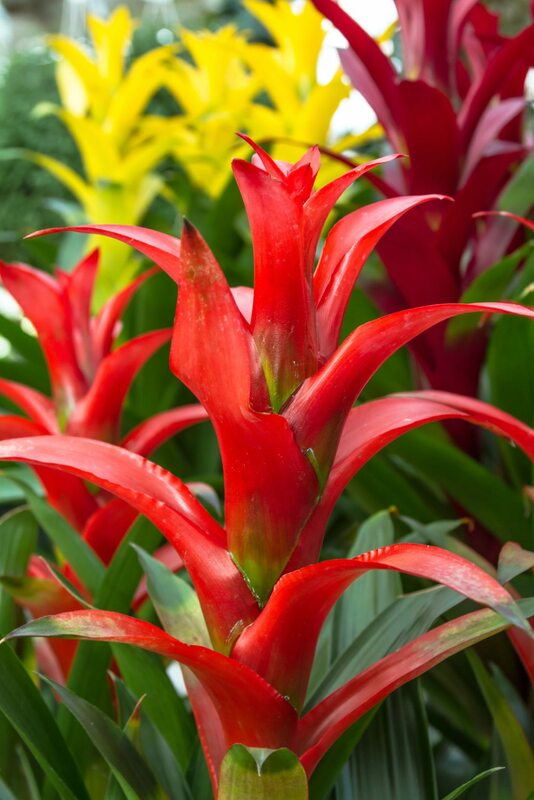 Read on to learn more about this unique member of the bromeliad family. Hardy plants accustomed to drier air of Central and South America and Mexico, xerographica plants generally do well in most indoor environments. Commonly known as air plant, tillandsia is a genus with over 450 species. Xerographica, a striking, silvery plant with large, curly leaves, is often considered the king of all tillandsia air plants. Growing xerographica houseplants is relatively simple. Most tillandsia air plants are accustomed to humid environments, but xerographica plants are able to tolerate relatively dry air. Don’t assume, however, that xerographica plants need only air. Like all plants, tillandsia plants need a certain amount of moisture. Xerographica air plants can also handle more sunlight than their tropical, shade-loving cousins, and they will struggle without adequate light. However, direct, intense light may sunburn the plant. Natural light is preferable, but you can supplement with artificial lights. Be sure to leave the lights on for 12 hours every day. Fertilizer isn’t really necessary, but if you want bigger, faster growth, add a very small amount of liquid fertilizer to the water. Use a general-purpose fertilizer diluted to one-quarter strength. Submerge your xerographica plant in a bowl of water every week or two. Decrease watering to once every three weeks during the winter months. Shake the plant gently to remove excess water, then place it upside-down on an absorbent towel until the leaves are thoroughly dry. Avoid direct sunlight while the plant is drying. Heating and air conditioning can cause the plant to dry faster. Watch for withered or wrinkled leaves; both are signs the plant needs a little more water. Water your xerographica air plant in morning or early afternoon so the plant has time to dry. Never water the plant at night. Mist the plant with lukewarm water once or twice every week, or more often if the air in your home is very dry. Treat your plant occasionally. Take it outside during a warm summer rain. It will greatly appreciate this. Read more articles about Epiphytes.